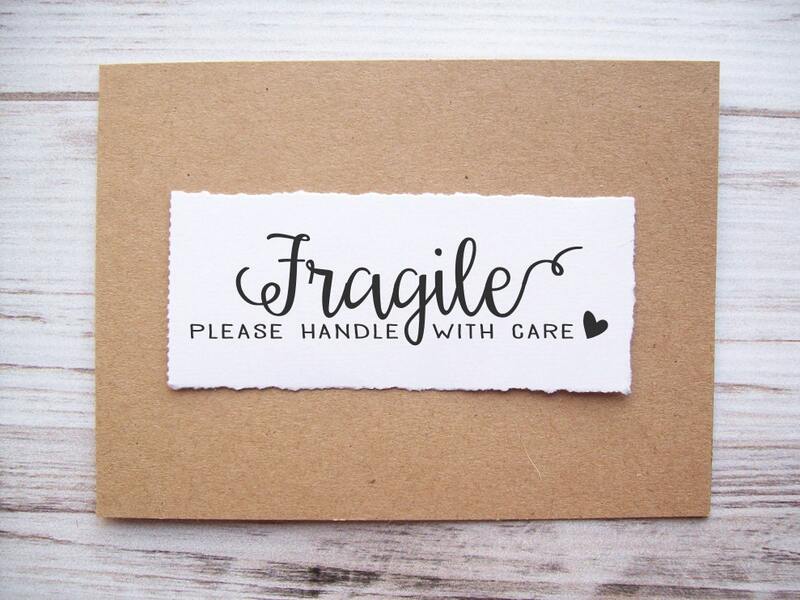 A Fragile stamp for your delicate packages doesn't have to be plain and boring! 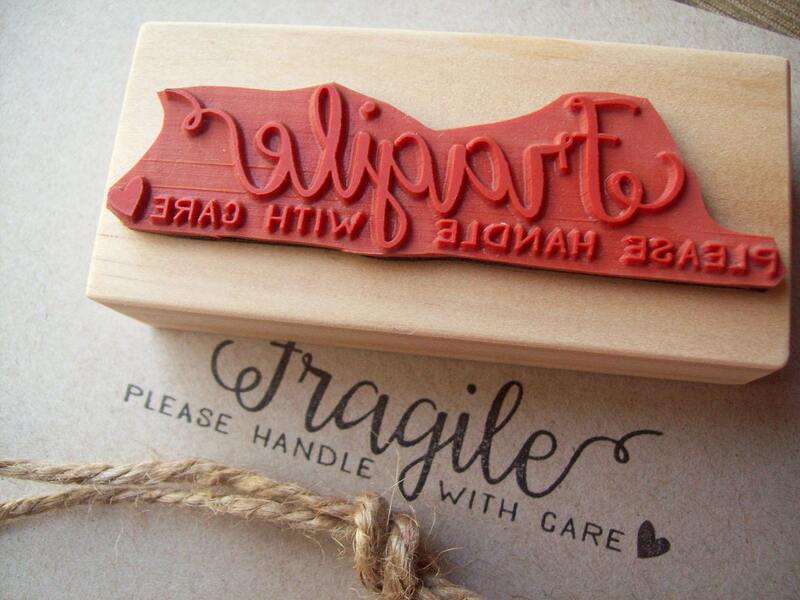 Show how much love and care you put into your packaging with this eye-catching stamp. Your customers and gift recipients will love it! You can use stamps on poly (plastic) mailers- all you need is a smudge-free brand of ink called Staz On.